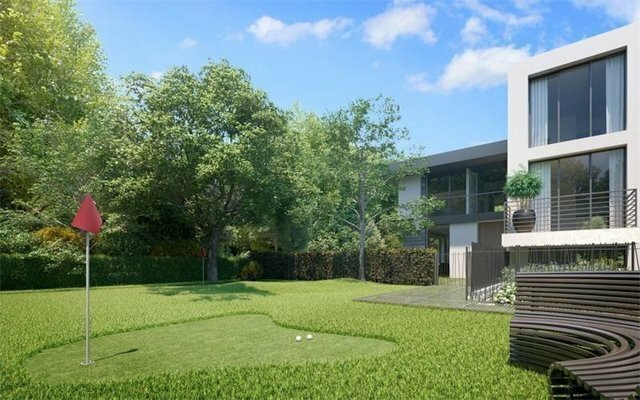 This spacious property is in a superb development near Saint Cloud racecourse in a sought-after suburb a short distance south west of the capital. Offering 224 sqm of living space, it includes a ground floor entry and a bedroom with a shower room. The raised ground floor comprises a 42 sqm living/reception room opening onto a 55 sqm garden, and a 33 sqm dining room/kitchen opening onto an 11 sqm terrace. A 32 sqm master suite with a bathroom, a study and a dressing room opening onto a terrace, two further bedrooms and a shower room are on the top floor. With two basement parking spaces, a recreation/fitness room and a storage room. Delivery is programmed for the 3rd quarter of 2020.